Family, supporters and politicians gathered around the grave of Turgut Özal on Wednesday to commemorate the eighth president of the Republic of Turkey on the 26th anniversary of his death. A bureaucrat with a promising career, Özal's switched to politics after the 1980 coup that changed the fate of the country. In his tenure as the first elected prime minister of the post-coup period, Özal oversaw a string of reforms that turned around the country's ailing economy. He died of heart failure on April 17, 1993, in his fifth year in office as president, at the age of 66. Speaking to reporters after a commemoration ceremony at his graveside, Özal's wife Semra Özal said "their pain still lingers." Özal's son Ahmet Özal said both his family and Turkey "missed" his father. "He was the father of this country. It is God's plan but I think he died very early," the younger Özal told reporters. Minister of Agriculture Bekir Pakdemirli, whose politician father Ekrem was a close friend of the late president, said Özal was "like an uncle" for him. "He was caring for everyone around him. He deeply admired the nation and the country and devoted his life to them. He greatly contributed to Turkey's efforts to break its shackles," he said, referring to Özal's drive to open the Turkish economy to the world. President Recep Tayyip Erdoğan, who often cites Özal as an exemplary president in his speeches, issued a message of remembrance for Özal. "He played an important role in the development of our democracy, prosperity and economic development of our country and pioneered Turkey's transformation. Turgut Özal had a special place in the hearts of our dear nation and will always be remembered for his valuable service," Erdoğan said in a written statement. Born into a middle-class Kurdish family in eastern Malatya province in 1927, Özal studied engineering before taking jobs in the bureaucracy. He made his foray into politics after he was nominated in the 1977 general elections by the right-wing National Salvation Party (Milli Selamet Partisi). He did not win in the elections, but was appointed as an adviser to then-Prime Minister Süleyman Demirel. Özal is often cited as the architect of January 24, 1980 reform package announced by Demirel's cabinet to liberalize Turkish economy, however, the government could not implement the reforms due to violence between the far-right and far-left. He rose through the ranks gradually to eventually be appointed as an undersecretary at the Prime Ministry shortly before the 1980 coup that paved the way for his political career. Appointed as deputy prime minister in charge of economy by military coup leaders, he resigned in 1982 and founded the Motherland Party (ANAP) in 1983 ahead of the first elections after the coup. He won successive elections in 1983 and 1987. Under his tenure, Turkey saw a liberal transformation and an economic boom. Özal championed free enterprise and an increase in exports and imports, turning around a stalled economy constrained by decades of political turmoil and coups in 1960 and 1980. 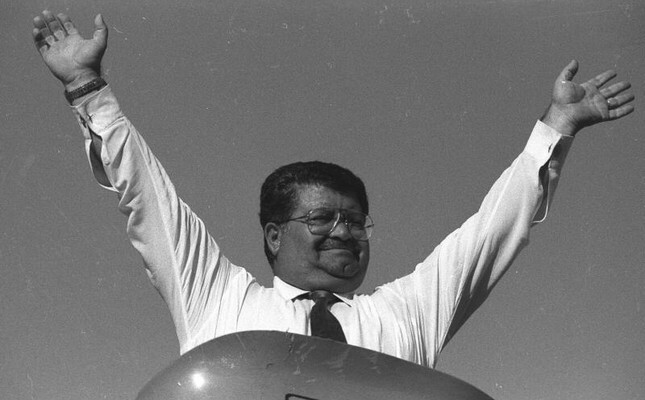 Özal survived an assassination attempt in 1988 and after his election to the presidency, he underwent multiple bypass surgeries before his death, which sparked rumors that he was poisoned. An investigation into his death years later remained inconclusive amid rumors that he might have been killed by opponents of his plans to resolve the problems the country's Kurdish community faced and end a campaign of terror by the PKK, which claims to fight for Kurdish self-rule in southeastern Turkey.